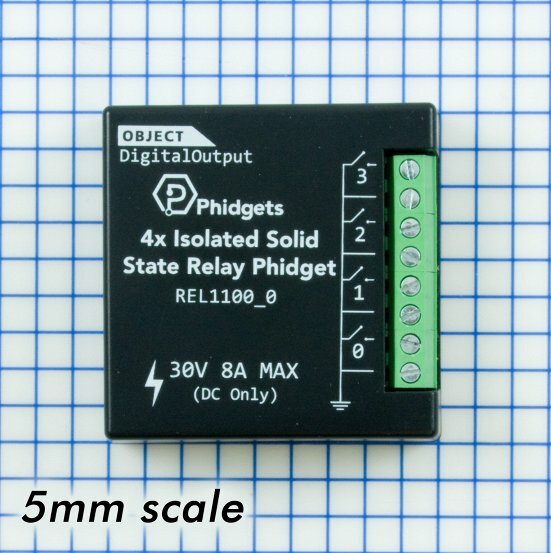 When the 3.3V digital output mode of your VINT port is not enough, this output module adds four PWM-enabled solid state relay outputs to your system. 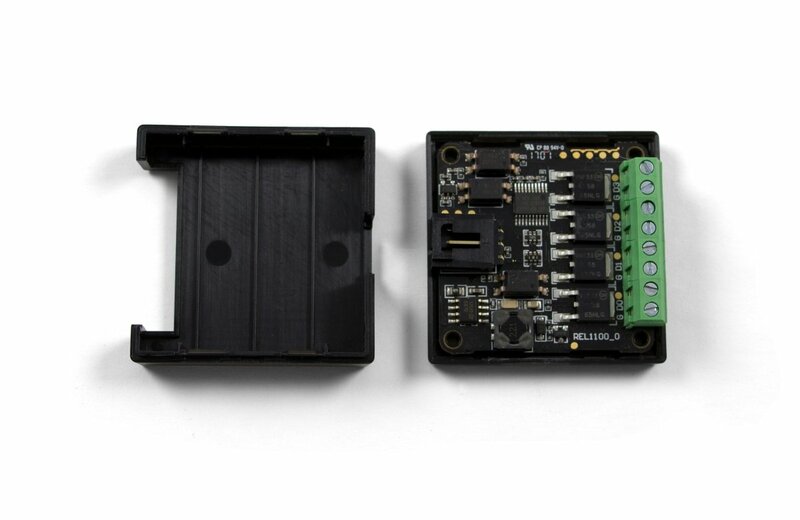 Because it uses relay outputs, you can control more powerful devices that require up to 30V and 8A. 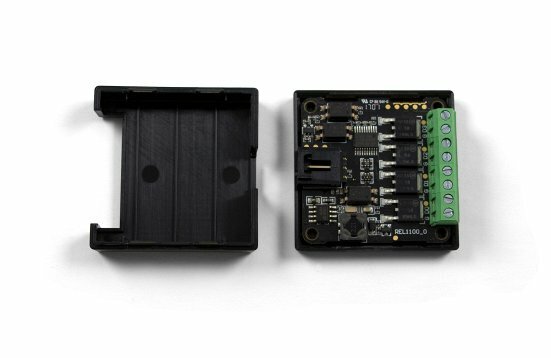 LED strips, DC motors, power relays, fans and other small circuits are just a few examples of what can be controlled with this module. 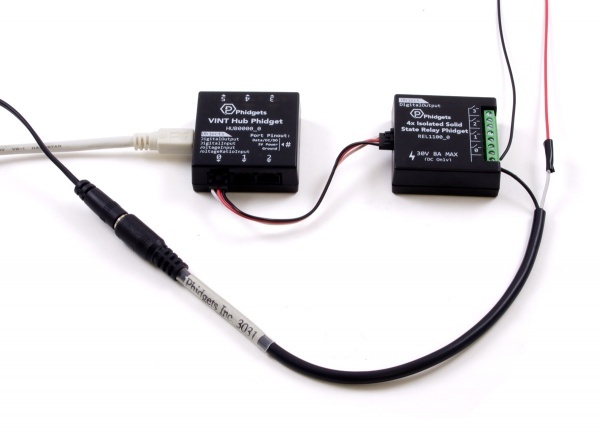 The REL1100 connects to a port on a VINT Hub. 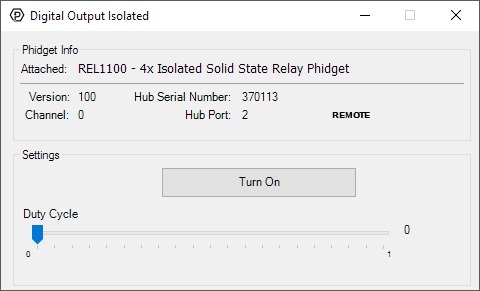 See the Connection & Compatibility tab for a list of hubs. 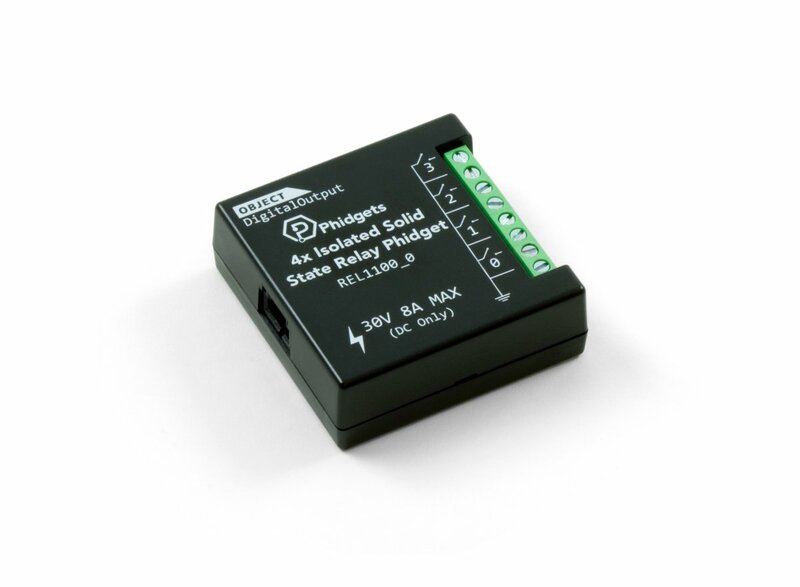 Each solid state relay switches an external circuit to ground when enabled. 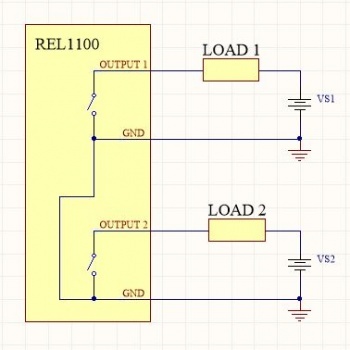 This action allows completion of the circuit in order to power a load. The power to the load is supplied externally and should be connected in series with the load and the relay output. 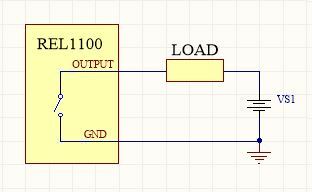 Alternatively, you could use a pull-up resistor on the input of your load and then switch the input to ground when you want it to turn off. 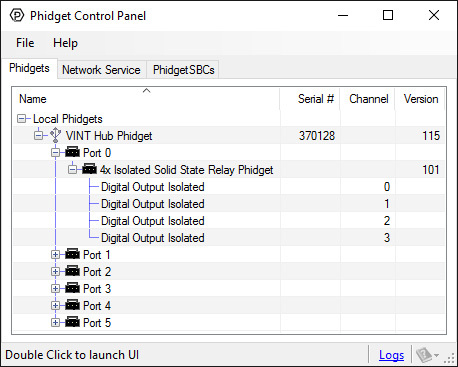 Each channel has a ground terminal beside it to make wiring a snap, and each one leads to a common ground.